Elgin Cathedral is a magnificent 13th-century ruin in the Scottish Highlands, best known for its dramatic west facade and octagonal chapter house. In 1200, the seat of the Bishop of Moray was moved from nearby Spynie to Elgin and construction work immediately began on a new cathedral. The original building, cross-shaped with a rectangular east end and twin west towers, was consecrated in 1224.
an object of praise in foreign lands. Unfortunately, the magnificent cathedral had a difficult history. In 1390, Alexander Stewart, Earl of Buchan, known as the "Wolf of Badenoch," brought an army of Highlanders to burn the cathedral and town of Elgin. The attack was part of a feud with the bishop and specifically in retaliation for being excommunicated for marital infidelity. In a letter to King Robert III, the bishop lamented the destruction of his beautiful church, as quoted above. In 1402, Alexander Macdonald, Lord of the Isles, plundered the cathedral. He tried to return the following year to collect more booty, but was met at the gate by the bishop and chapter and shamed into leaving. The cathedral was extensively repaired after these setbacks. The east end was probably renovated first so services could continue; new features here include the tracery of the rose window and larger windows in the choir aisles. The center tower was also rebuilt and the chapter house reached its final form around 1500. Further work had to be done after the central tower collapsed in 1506. In another century came the Reformation, and in 1560 the cathedral was abandoned for the town's parish church. The roof was immediately dismantled for its valuable lead, the bells were taken away, the choir screen was used for firewood, and the stones continued to be plundered. Only the chapter house survived fully intact, thanks to its usefulness as the meeting place for the Incorporated Trades of Elgin. In 1711, the nave was destroyed when the central tower collapsed. After nearly four hundred years of neglect, the first steps were taken to preserve Elgin Cathedral in the early 19th century. Today, the ruin is administered by Historic Scotland. Given Elgin Cathedral's history, it is a testament to the skill of the 13th-century builders than anything survives at all. Although little of the nave survives, most of the presbytery is still intact and the impressive west front still stands nearly to its full height. Flanked by strong square towers, the west facade centers on a large arched window above a wide processional portal with eight engaged columns on each side (c.1270). The outermost archivolts are carved with dog-tooth and foliage decoration. The two doorway arches and sculpted tympanum were added by Bishop Columba of Dunbar (1422-35); his coat of arms can be seen high on the gable, along with those of the king and the bishopric of Moray. The oval niche over the doorway, now empty, probably contained a sculpture of the Holy Trinity (to whom the cathedral was dedicated), flanked by adoring angels who can still be seen. The north tower can be climbed for excellent views of the cathedral ruins, the town of Elgin, and the surrounding countryside. Climbers enter at the base of the south tower, then cross to the north side via an enclosed walkway below the great window. The nave, now open to the sky and carpeted with grass, has mostly disappeared, but there are some notable remains to be seen. The foundations of great pillars give a sense of its height and grandeur, and in the southeast corner are large statues that once stood high in niches in the central tower. Depicting a bishop and a knight, they look like giant chess pieces. Near the presbytery, look for a Pictish cross slab carved with elaborate designs. The presbytery and its side aisles, rebuilt in the late 15th century, remain remarkably intact. The attractive east facade is decorated with two levels of five slender arches and a large rose window. Next to the presbytery on the north side is the chapter house, the best-preserved part of the cathedral thanks to its use as a meeting place. Its current form dates from around 1500. It has an octagonal floor plan with a slender central pillar and fine star vault with carved roof bosses. Personal visit (September 30, 2010). Richard Fawcett, Elgin Cathedral: The Official Souvenir Guide (Historic Scotland, 1999; repr. 2007). 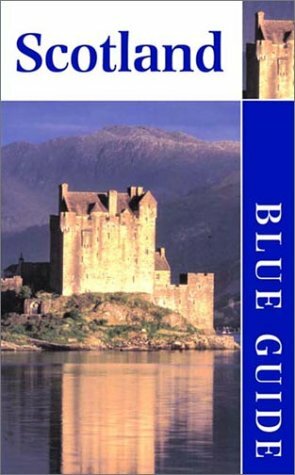 Elspeth and Michael Wills, Blue Guide Scotland, 12th ed. (London: A&C Black, 2001), 439-40. Below is a location map and aerial view of Elgin Cathedral. Using the buttons on the left (or the wheel on your mouse), you can zoom in for a closer look, or zoom out to get your bearings. To move around, click and drag the map with your mouse.